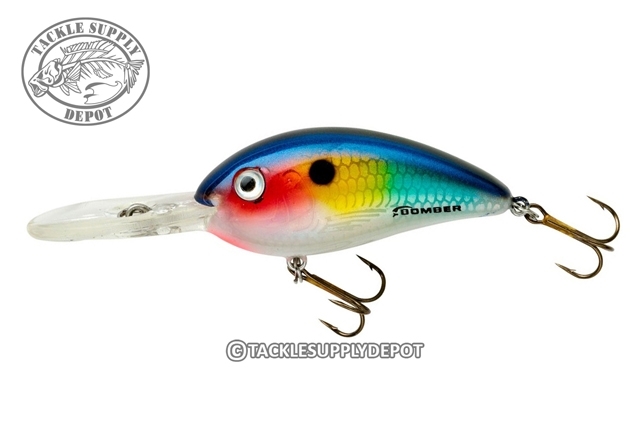 The Bomber Fat Free Shad Fingerling is a serious crankbait for serious crankbait fishermen. It's perfect for cranking around docks and standing timber, as well as throwing into shoreline buckbrush and laydowns, because with constant pressure the bait normally comes right through the thick stuff where the big ones live. Tough and durable components mean that the Fat Free Fingerling will give you years of great angling memories, and with a wide variety of classic and high-tech color patterns, you'll find one that perfectly matches the conditions you're fishing. The Fat Free Fingerling is a crankbait many tournament anglers have tied on all the time because it's the perfect size compromise and dives to the right depth to be a general all day, every day crankbait.